The St Regis Mauritius Resort has announced the appointment of Estuardo De San Nicolas as resort manager. In his new role San Nicolas will oversee the management and operations of the 172-room luxury resort which is situated on the south-westerly tip of the island, Le Morne Peninsula, a UNESCO World Heritage site. Maradiva Villas Resort & Spa has marked the unveiling of Carl F. Bucherer’s new collection of timepieces. The event was held in the presence of Sascha Moeri, chief executive of Carl F. Bucherer, Sanjiv Ramdanee, chief executive of Maradiva and SKR Luxury, and a host of VIPs guests. 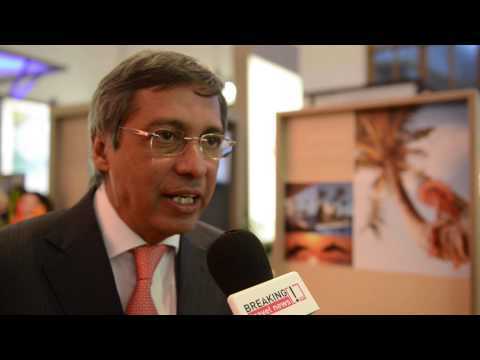 The Honourable Xavier Luc Duval, Minister of Tourism, Mauritius talks to Breaking Travel News at ITB 2015. Maritim Hotels is reinforcing its presence in Mauritius with the opening of a second hotel on the popular tropical island. Complementing its award winning five-star Maritim Hotel Mauritius at Turtle Bay in the north-west, the new four-star Maritim Crystals Beach Hotel will be located on the east coast of the island in the attractive setting of Belle Mare on a half mile stretch of sandy beach. Air Mauritius has returned to the black, with the national carrier of the Indian Island destination reporting €8.6 million in net profit for the year to March 31st earlier. This compares to a pre-tax loss of €2.3 for the previous financial year. 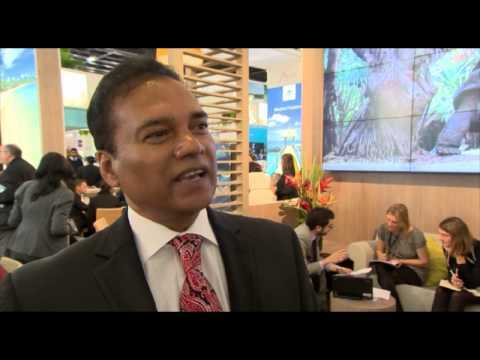 Dr. Karl Mootoosamy, director, Mauritius Tourist Promotion Authority, talks to Breaking Travel News on Day 2, at ITB 2014. The first Mauritian Ambassador to be accredited in Seychelles, Mrs. Marie-France Roussety, confirmed that she would be following closely the dossier for improving aviation connectivity between Seychelles and Mauritius. Last Friday evening, Michael Sik Yuen, the Mauritian Minister responsible for Tourism, officially declared open the First Edition of the Mauritius Shopping Fiesta, the event that today claims that Mauritius offers goods at cheaper prices than Dubai and Shanghai, in the presence of HE Jean Luc Duval, the Deputy Prime Minister of Mauritius, Minister Alain St.Ange from the Seychelles, and Mauritius Ministers Von Mally and Aimee. The Mauritius Tourism Promotional Authority (MTPA) has made the move to put an end to the claim of the “copy cat” action of the annual carnival in the Seychelles, which was co-hosted in March this year by the Vanilla Islands of the Seychelles and La Reunion. 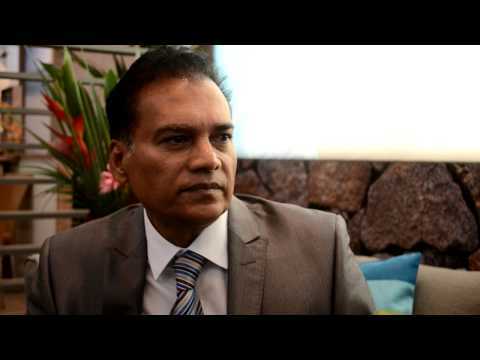 The last working visit to Mauritius by Alain St.Ange, the Seychelles Minister responsible for Tourism and Culture, saw him at his best giving many interviews, press conferences, and photo opportunities to the Mauritius press.